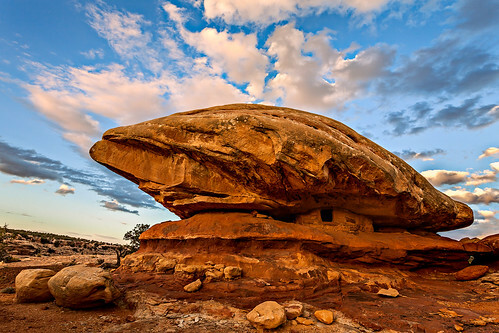 A little-known ruin hidden away on Cedar Mesa under a beautiful sky, taken shortly before sunset. I managed to find this special ruin a few months back, after searching for it for quite a while, but the conditions were not that great for a good photo. I knew I would have to return again! This time all the elements came together nicely for this photo.